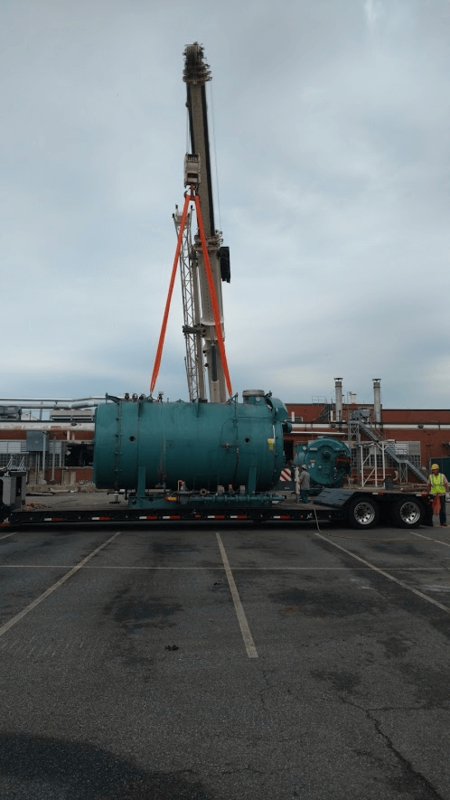 Heritage Industrial Services, Inc. (Heritage) – was contracted to perform the rigging and removal of equipment auctioned and sold from the Former 600,000 sqft Colgate facility in NJ. The project involved extensive pre-planning due to the facility being demolished simultaneously as the rigging and removal work being performed. In order to meet the schedule requirements for the demolition of the facility, rigging work was performed in multiple areas of the building. During the project daily meetings were held between all contractors on-site to discuss the extensive logistics of the project. In addition to project meetings there were also daily tool box meetings and Job Safety Analysis’s developed to ensure the safety of all employees on site. Prior to the start of work all electrical, steam, gas lines or other active supply lines were de-energized, isolated, capped and air gapped by the client. Items that required a crane to be rigged and loaded required approved lifting plans prior to work starting. 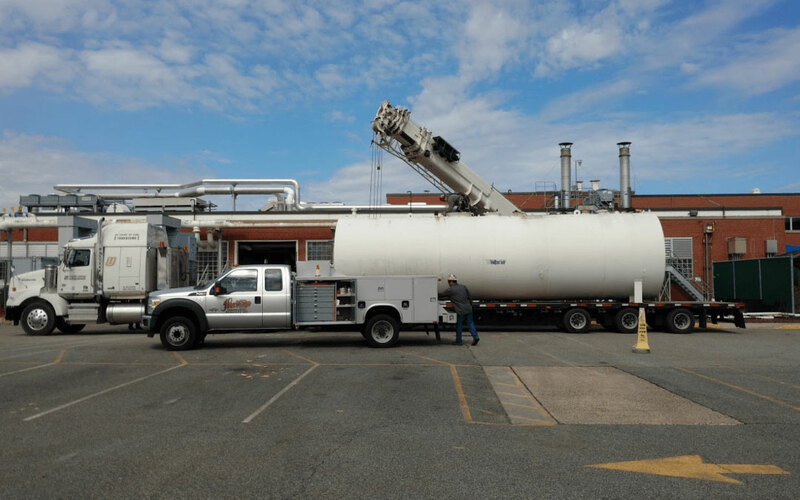 The equipment removed consisted of S/S agitated jacketed tanks, fiberglass tanks, packaging lines with conveyor, CIP water filtration system, boilers, chillers, emergency generators and other associated equipment. There were over 100 loads of equipment transported from the site to their final destinations, including multiple over-dimensional loads that required permitting and escorts. The following equipment was utilized thru-out the project including but not limited to various hydraulic gantries and rigging tools, multiple scissor-lifts, 12K capacity telescopic lull, various forklifts ranging from 5K capacity to 20K capacity, and Extreme Telehandler XR23034 with 30,000lbs of lifting capacity.